Do you wake every morning to a sharp pain in your heel? When you stand up after sitting down for any length of time, do your feet always ache? If these symptoms sound familiar, you are not alone. Plantar fasciitis is a common problem where the fibrous band of tissue - a ligament called the plantar fascia - that runs across the bottom of the foot between the heel and toes becomes inflamed and taut. This ligament is very similar to a rubber band, and its elasticity is essential for the normal function of the foot without pain. As we grow older or gain weight, more stress and strain are put on the ligament and the band becomes less elastic, similar to an older rubber band. The pain occurs in the sole under the heel or arch and is usually at its worst when the feet first touch the floor in the morning. This pain is sometimes relieved by walking as this motion stretches the band. The discomfort may increase towards the end of the day as more pressure accumulates on the tight ligament. Plantar fasciitis occurs in the general population, particularly between the ages of 40 to 60. In a recent American Podiatric Medical Association survey, approximately 40% of people were found to suffer from plantar fasciitis. The pain and discomfort associated with this condition can dramatically affect physical mobility and may continue for months or even years. However, all hope is not lost. There are many ways to significantly decrease the pain and help pain-proof your heels. Plantar fasciitis can stem from a variety of lifestyle factors that when changed, can decrease the pain. For example, exercising in an old pair of sneakers contributes to the problem. Worn soles can cause a significant reduction in shock absorbency, causing pain in the heel. For runners and active walkers, shoes should generally be replaced every 350-500 miles (about every 3-5 months). Replacing your sneakers when they become worn will give your feet the support they need for daily activity. Another type of shoe that contributes to the problem is a flip-flop. As a summer- and flip-flop-lover myself, I know that the flip-flop is the perfect shoe for 90-degree weather. But the truth is, the lack of arch and heel support in flip-flops puts a tremendous strain on the fascia and Achilles tendon. For people who simply must wear open-toed shoes, it is recommended that they wear sandals with arch support that also bend at the ball of the foot. This allows for a normal stride. Additionally, plantar fasciitis may be aggravated by high-heeled shoes, which when worn, shorten the plantar fascia. One of the greatest risk factors associated with plantar fasciitis is obesity. Those with high body mass or occupations with prolonged weight-bearing conditions are known to have heel pain due to the load factor. Another condition that can present a problem is flat feet. Simply due to the mechanics of their anatomy, flat feet can cause a constant stretch and tug at the site where the plantar fascia inserts into the bottom of the heel. On the flip side, high arches can pose a threat due to poor distribution of pressure while walking, concentrating a large proportion of the weight onto the heels. There are many different treatment options depending on the severity and cause of the problem. These include stretches, nightsplints, ice, anti-inflammatory medication, physical therapy, cortisone injections, orthotics, shockwave therapy, and surgery. The good news is that 98% of the time, heel pain can be treated without surgery. Home remedies to reduce heel pain include stretching exercises or use of a nightsplint which allows for increased elasticity of the tightened plantar fascial ligament. Flexibility is the key to plantar fasciitis treatment. According to a study performed by The American Academy of Family Physicians, 83% of patients involved in stretching programs demonstrated significant improvements. Stretching the plantar fascia provides valuable benefit because it helps correct risk factors and the weakness of intrinsic muscles of the foot. Recommended stretches include wall stretches and curb or stair stretches, all of which focus on stretching the Achilles tendon. Also, rolling the foot over a tennis ball helps stretch the plantar fascia. Cross-friction massage above the plantar fascia upon waking can be beneficial, stretching and warming up the fascia before taking the first steps of the day. Though there are many simple things that can be done at home to decrease the pain, sometimes further intervention is required. Arch supports and orthotics may be the appropriate ingredient in your pain management plan. These devices are designed to stabilize the plantar fascia ligament, redistribute the heel's natural fat pad, provide a bio-structural reinforcement, and properly align the bones in the heel. Orthotics are custom made to fit your feet and accurately target the specific areas that are causing the pain. The types of orthotics used for heel pain include rigid orthotics, soft orthotics, and semi-rigid orthotics. Rigid orthotic devices are designed to control function and are used primarily for walking or dress shoes. They are typically composed of a firm material, such as plastic or carbon fiber. Soft orthotics are generally used to absorb shock, increase balance, and take pressure off of uncomfortable or sore spots. They are usually effective for elderly, diabetic, arthritic, and deformed feet. Semi-rigid orthotics provide foot balance for walking or participating in sports. The typical semi-rigid orthotic is made up of layers of soft material, reinforced with more rigid materials. Extracorporeal shockwave therapy (EWST) is an alternative treatment for plantar fasciitis. This modality has been used here in the States for approximately 11 years for this problem. It has been used in Europe for plantar fasciitis and for kidney stones and for much longer. A major advantage of this technique is the fact that no incisions are required for this treatment and it is done under local anesthesia in the office. Studies have shown an 82% improvement in most patients who undergo this procedure for chronic heel pain. Prior to undergoing ESWT treatment, the patient must have been diagnosed with chronic plantar fasciitis for at least six months. Only after the patient's symptoms fail to respond to three conservative treatments should ESWT be administered. In years past, surgical intervention for chronic plantar fasciitis was required when these other treatments had failed. During shockwave therapy, lithotripsy sound waves under ultrasound guidance are focused on the precise site of the problem. The soundwaves change the chronic inflammation to acute inflammation allowing the body to use different chemical pathways to cure itself. Just like most injuries that heal themselves, shockwave therapy allows this transformation which in turn activates the body's natural healing response. This healing response causes blood vessel formation and increased delivery of nutrients to the affected area, resulting in reduced inflammation and subsequent relief of pain. The FDA first approved Shockwave Therapy for the treatment of plantar fasciitis in the year 2000. Since then, it has become a popular choice for difficult cases of heel pain because it has demonstrated lasting pain relief. It is performed in the office under local anesthesia with most patients returning to their regular activities the very next day. If the above outlined treatments do not provide relief, then medication, physical therapy, cortisone injections, or even surgery may be inevitable. 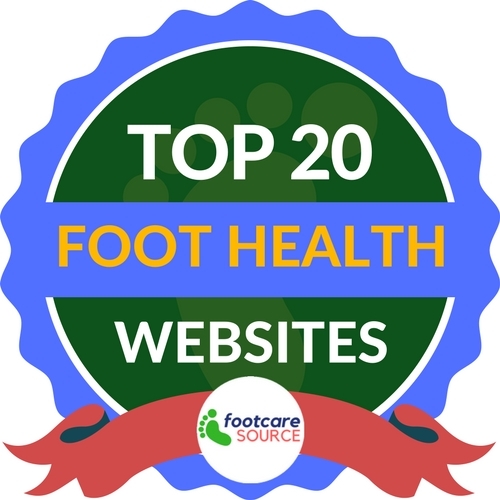 Visit your Podiatrist to determine which option is best for you and your lifestyle. For information on shockwave or sound therapy, please contact our foot doctors in Long Island at Advanced Podiatry today, at either our Huntington, NY, Manhasset, NY or Roslyn, NY practice! Or submit a request through our site's contact form.